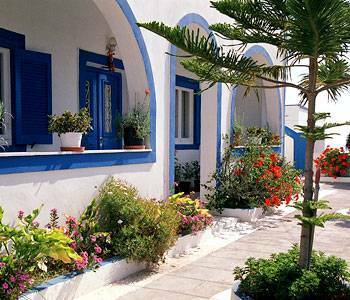 Villa Alizea is situated 5 minutes walking away from the center of Fira(capital of Santorini). In the center you find shops restaurants, cafe, disco, banks, tourist offices, bus station and taxi station. 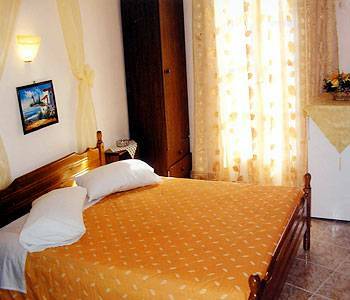 We offer fifteen comfortable rooms that are all equipped. On the grounds we also have a swimming pool and private parking, provide daily cleaning services. 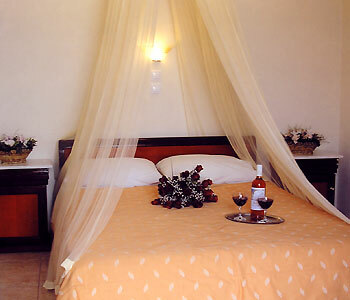 Villa alizea offers friendly service and a warm atmosphere that will make your holidays unforgetable. 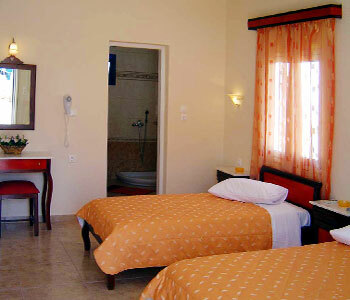 The rooms have air conditioning, refrigerator, T. V, safe box, hair dryer, private bathroom and balkony. Our Villa situated near the folkloric museum. Also it is opposite playland"RODIES"
In case of cancellation,inform us 7 days before date of arrival. The bus station and taxi station is 5 minutes walking away. Nearest airport: The airport is about 8 km.